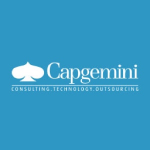 With more than 180,000 people in over 40 countries, Capgemini is one of the world’s foremost providers of consulting, technology and outsourcing services. The Group reported 2015 global revenues of EUR 11.9 billion. Together with its clients, Capgemini creates and delivers business, technology and digital solutions that fit their needs, enabling them to achieve innovation and competitiveness. A deeply multicultural organization, Capgemini has developed its own way of working, the Collaborative Business Experience its worldwide delivery model.